LASG warns doctors, health workers against strikes. that it does not expect them to embark on strike without strict compliance with relevant provisions, including continuation of essential services. In circular 069 dated June 4, 2012, the government added that it would enforce the policy of ‘No-Work, No-Pay’, and discipline unauthorised absence from work in accordance with labour laws and civil service rules. The circular, which was signed by the Acting Head of Service, Mrs. Josephine Williams, explained that the government was disturbed by the adverse effects of recurrent disruption of health services on patients. 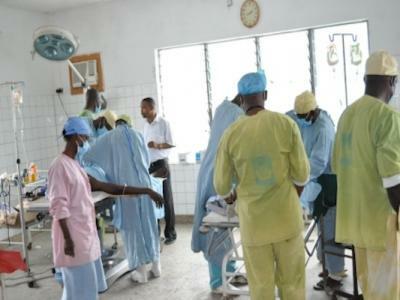 The circular read, “There are also growing concerns about the quality of service and dedication of staff in public hospitals, which has made it duty-bound on government to clarify that medical services are classified as essential under Nigerian law. Williams said the government would continue to implement its present wage policy and structure concerning its employees, including those in the health sector, until a wage review is carried out. She said, “All employees in the state public service should note that agreements made with employers of labour other than the Lagos State Government are not binding on the state. “Furthermore, the policy of ‘No-Work, No-Pay’ and disciplinary process for unauthorised absence from work shall be strictly enforced in accordance with relevant labour legislation and civil service rules. She added that a process of dispute resolution created by the government would initially be adopted to resolve issues. The government and doctors in the state had been at loggerheads over the implementation of the Consolidated Medical Salary Scale.